Sebastopol, CA Fetherston Publishing has published a limited edition â€œtreasure boxâ€ that will rev the engine of any die-hard classic automobile fan. When it comes to the history of automobiles, Fetherston Publishing has captured the history, spirit and beauty of Woodys. In fact, their celebrated 400-page book has already achieved a string of five-star reviews from some of the automobile worldâ€™s most respected critics. Wanting to offer something even more special to the woody fan, Featherston is today announcing a limited run of their exclusive Treasure Box of Classic Woodys swag. At the heart of the package is a 400-page book, including 19 chapters, capturing not only the history of OEM station wagons, sedans, and convertibles, but also numerous one-offs, special builds, hot rods and even a chapter on the fake (aka wallpaper) Woodys of the fifties, sixties and seventies. Opening out to 24×12 inches, readers can enjoy learning about the history of woody wagons built by Buick, Chevrolet, Chrysler Town and Country, Chrysler, Dodge and DeSoto, Ford, Mercury, Packard, Plymouth, Studebaker, International, Hot Rod Woodys and Surf Decals. Minor American makes, including American Bantam, Keller, Willys, Hudson, Nash and even Reo are also covered. Thereâ€™s a chapter on types of trees used to build Woodys, and also on the decals of the world of surfing. Fetherstonâ€™s Treasure Box of Classic Woodys is delivered in a custom maple and mahogany box, which resembles a woody tailgate. The presentation includes the book, a Dime Store toy woody wagon, a wood sample set, vintage and contemporary surf decals, classic woody postcards, and two genuine postage stamps for inclusion in the frontispiece. This intriguing and highly valued boxed set offers something extra special for the Woody fan this Christmas. It is priced at $459 (including free domestic shipping). The print run was only 500, so with this short supply in mind, Fetherston urges woody enthusiasts to act fast to avoid disappointment. Jim Davidson. 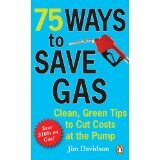 75 Ways to Save Gas (Penguin Bks, 2009). 131 pages. 75 Ways to Save Gas is the little bible to keep in your car’s glove compartmentÂ in theseÂ frugal times. Davidson has several ideas about how to get the best fuel economy from your vehicle, from the obvious suggestions: Use cruise control, keep off the brake and don’t speed, to the not-so-obvious: Wear appropriate clothing to don’t overfillÂ the gas tank. Davidson’s book contains a glossary of internet resources to help save fuel and money, environmental sites and automobile clubs. 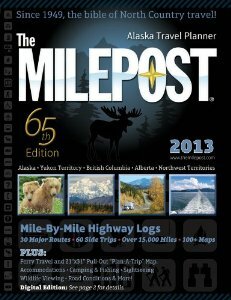 Also included is a MPG log sheet to track your mileage and fuel economy, as well as a cost of fuel appendix. Some of Davidson’s tips include such ideas as driving in the slipstream-don’t tailgate but instead get behind a big truck; anticipate the green lights; buy a light-colored car and listen to calm music.